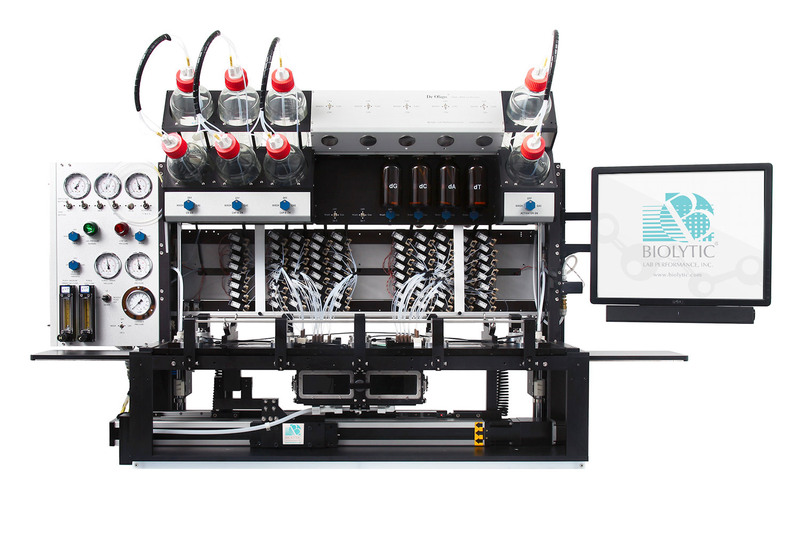 Biolytic's Dr. Oligo - DNA synthesizer delivers the world's fastest and most efficient* high quality oligonucleotide / dna synthesis in high throughput, medium throughput and custom configurations as well as establishing a cost effective solution flexible enough for cleavage, de-protection**, de-salting and elution. 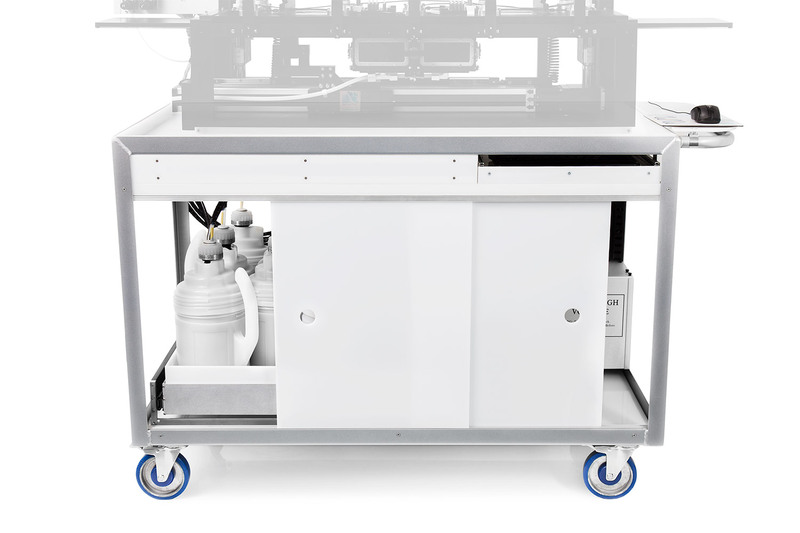 Designed and built from the ground up to address the most demanding needs of the end user. 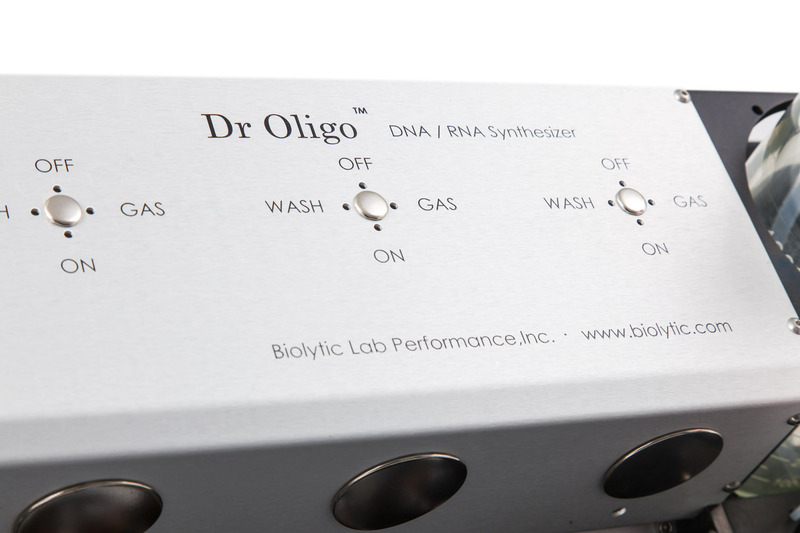 The Dr. Oligo - DNA synthesizer boasts a total of 23 amidite delivery systems with up to 19 capable of low volume while remaining easy to operate and maintain. 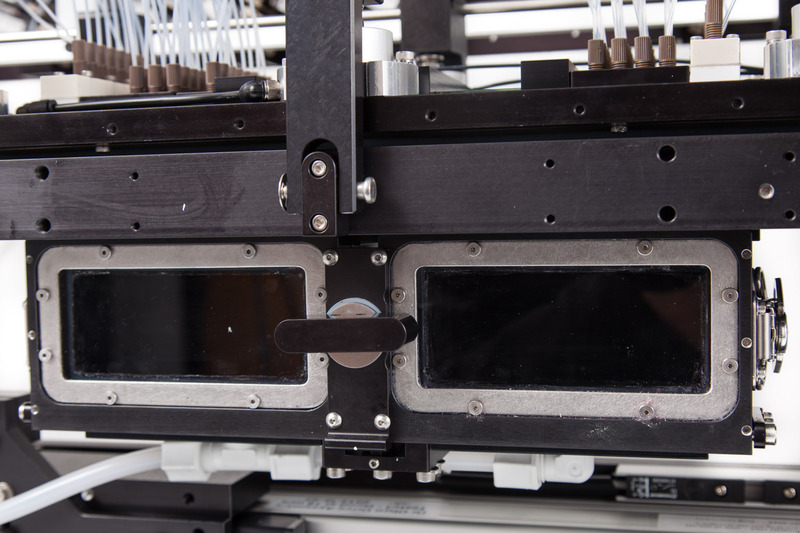 The unique open frame design permits for a wide range of customization options from additional bottles per reagent to double reagent dispensing. All existing and future upgrades can be equipped without having to purchase a brand new instrument and most upgrades can be installed on-site keeping the instrument running with minimum downtime. 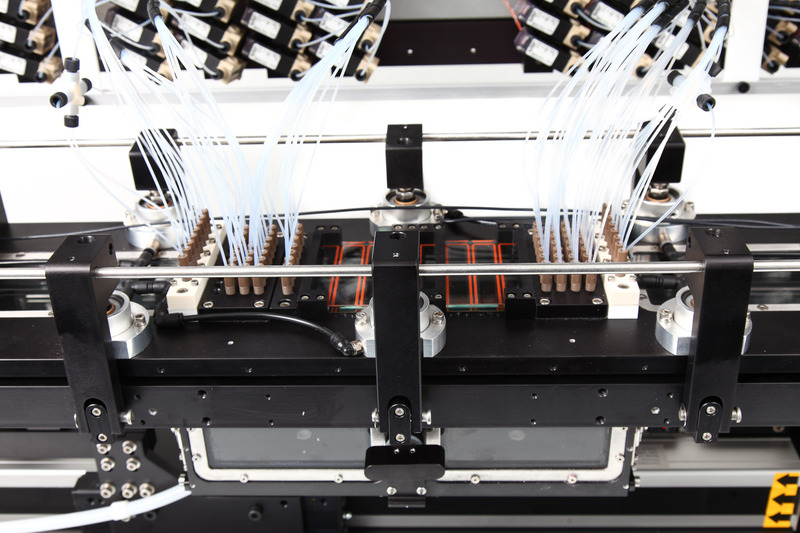 Featuring a unique parallel dispensing technology, 192 oligos can be synthesized as 20 mers in as low as 2 hours***. 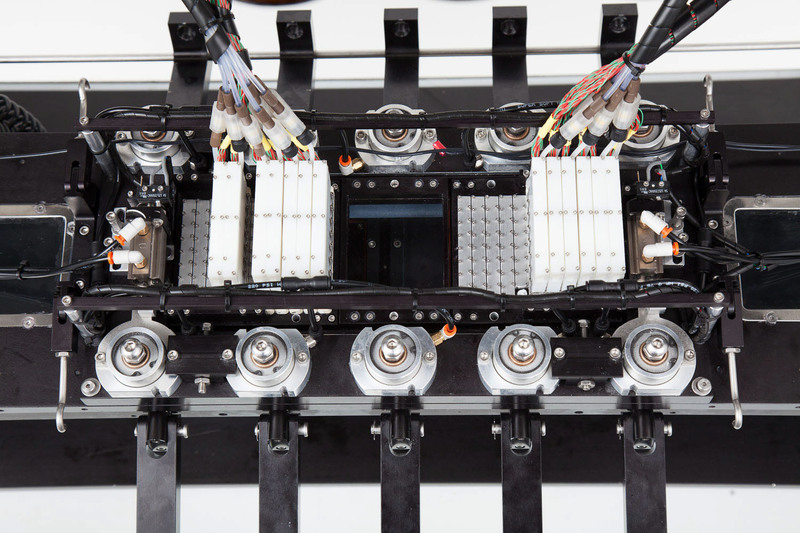 Synthesis performance is vastly improved by allowing reagent delivery to up to 8 columns at a time. 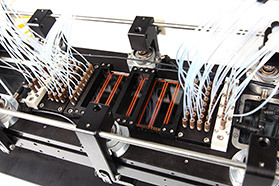 Quality is maintained by working in unison with an anti-drip mechanism to eliminate any chance of contamination. 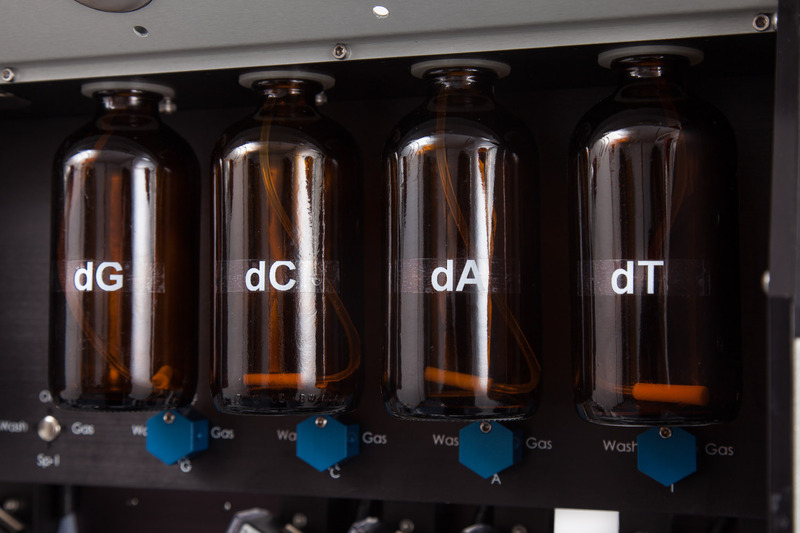 For any synthesis cycle involving over 192 oligos the overall synthesis time can be further cut by up to 35% when utilizing the double reagent dispensing option. 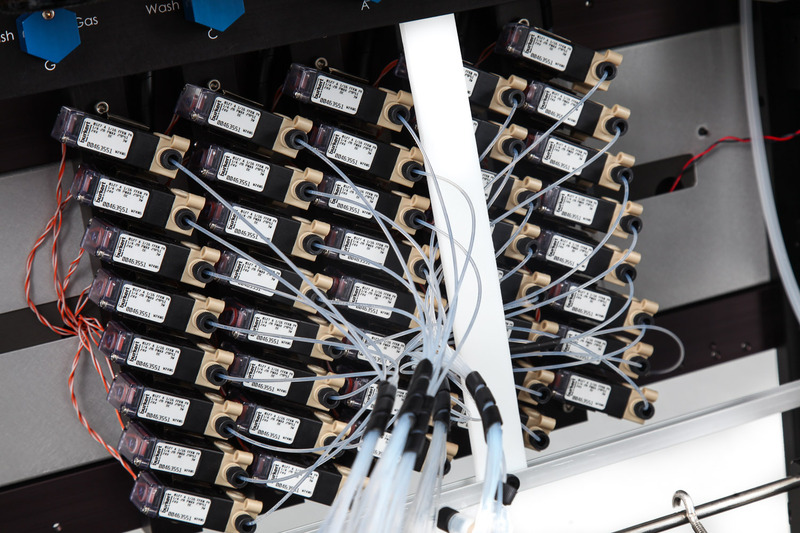 This increases reagent delivery to up to 16 columns simultaneously providing the flexibility to achieve a single run of 768 oligos in under 4 hours****. 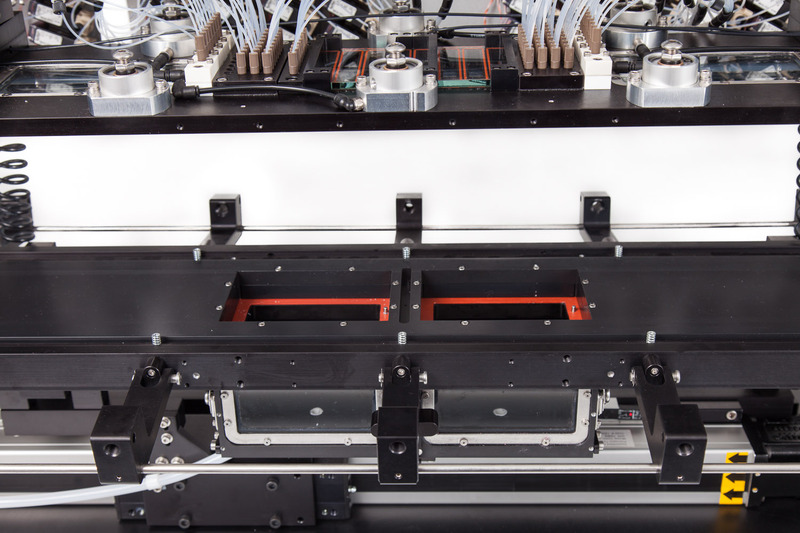 To reduce the time spent cleaning between runs a semi-automated nozzle wash and purge system automatically prepares the instrument for the next use. 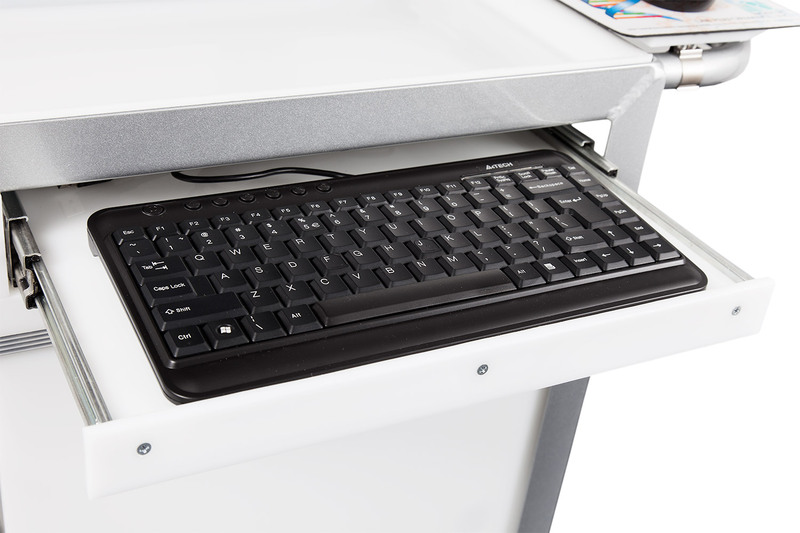 This system is also available as a fully automated option which eliminates any user intervention.
" Used by all of the world's leading gene synthesis companies for synthesis of their most demanding high purity long oligos." 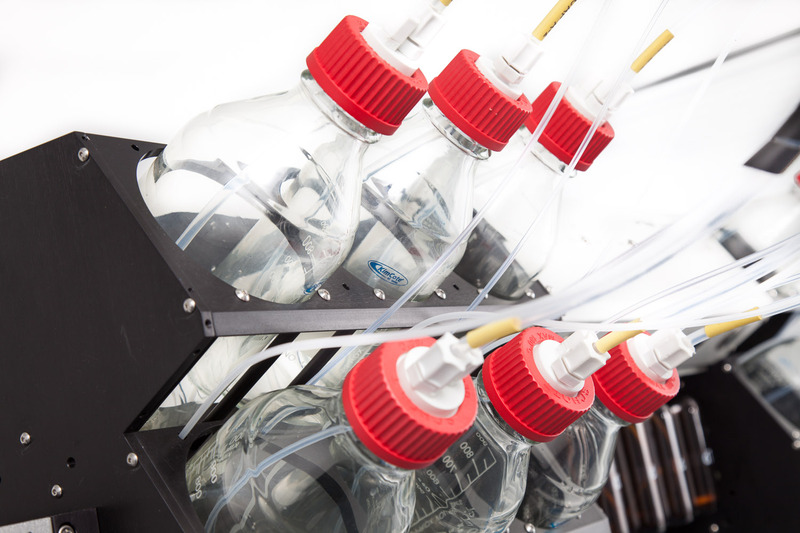 Ultra efficient in reagent and gas consumption, the Dr. Oligo keeps operating costs down without sacrificing on the synthesis quality. A smaller gas chamber maintains up to an 80%***** reduction in gas spent while also taking considerably less time to pressurize. 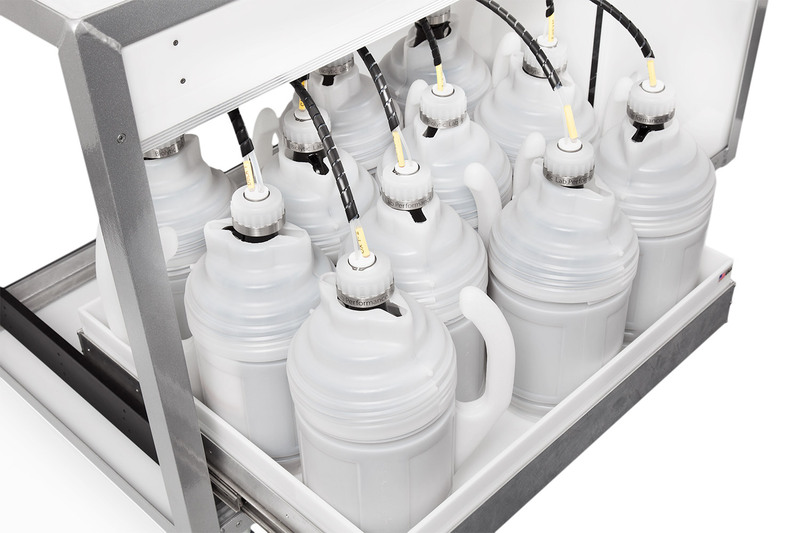 An additional bottle per reagent can be added to allow one bottle to run completely empty before being changed without having to re-prime the lines. 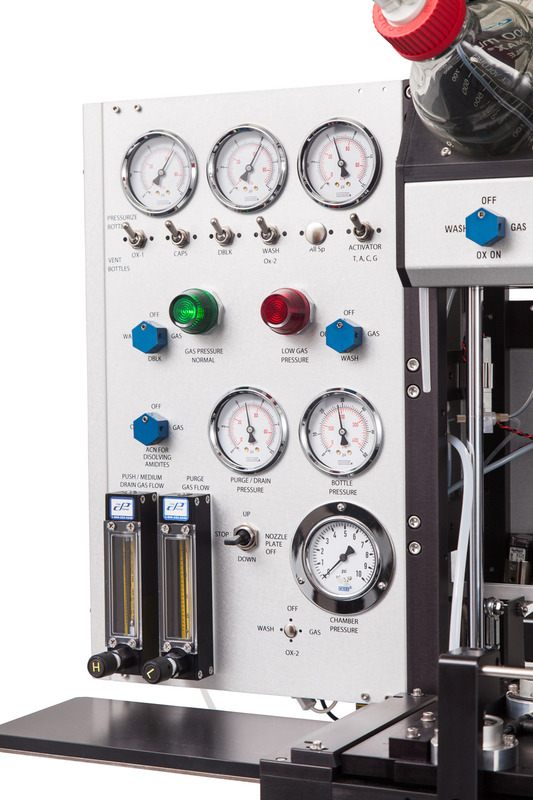 Reagent flow rate through the synthesis media (columns) can be fine tuned with up to three different pressure settings minimizing reagent consumption to achieve optimal synthesis. 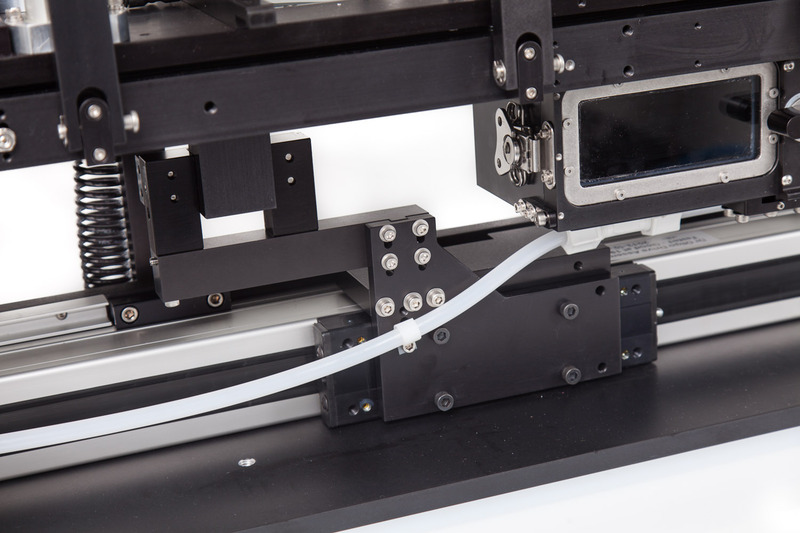 The optional low volume delivery system minimizes waste of expensive amidites by placing the valves and bottles on the nozzle plate thereby reducing the tubing for priming and delivery. 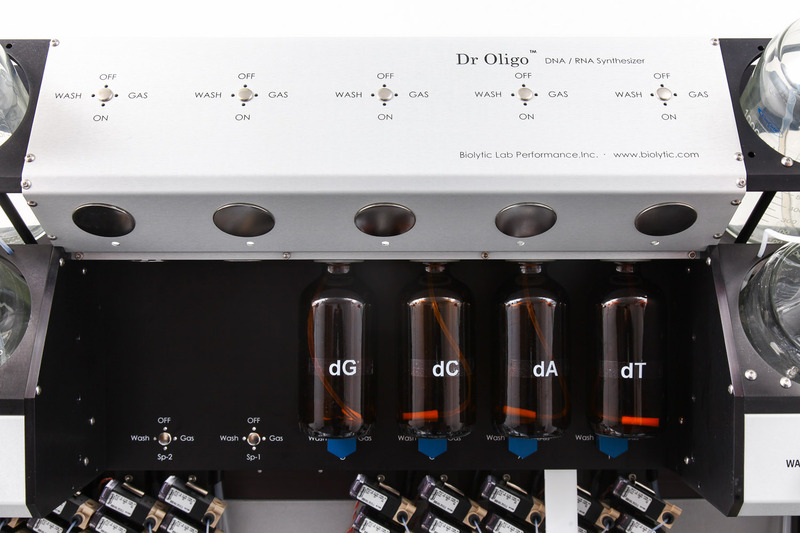 With a user friendly interface, the Dr. Oligo software provides a robust and trouble free workflow that is entirely customizable. 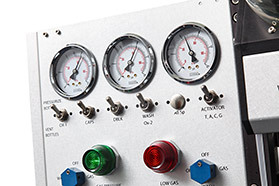 The built in powerful protocol editor allows total control over your particular chemistry. Create and save macros for complex procedures or modify existing built in macros to suit your own needs. Synthesis can range from 1 oligo to 768 oligos in a single run while scaling from 1 nMole to 2 uMole. 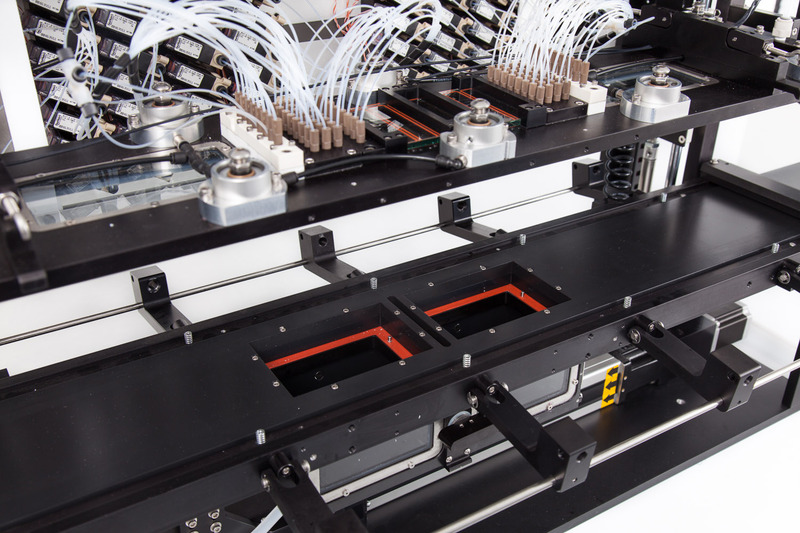 The software will automatically adjust reagent delivery according to the scale of the synthesis. 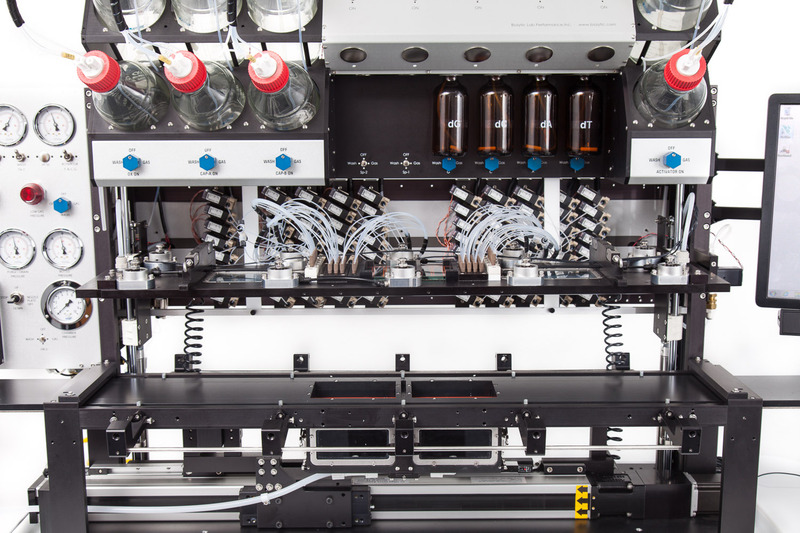 Detailed synthesis information can be quickly viewed with the ability to start and stop synthesis at anytime. 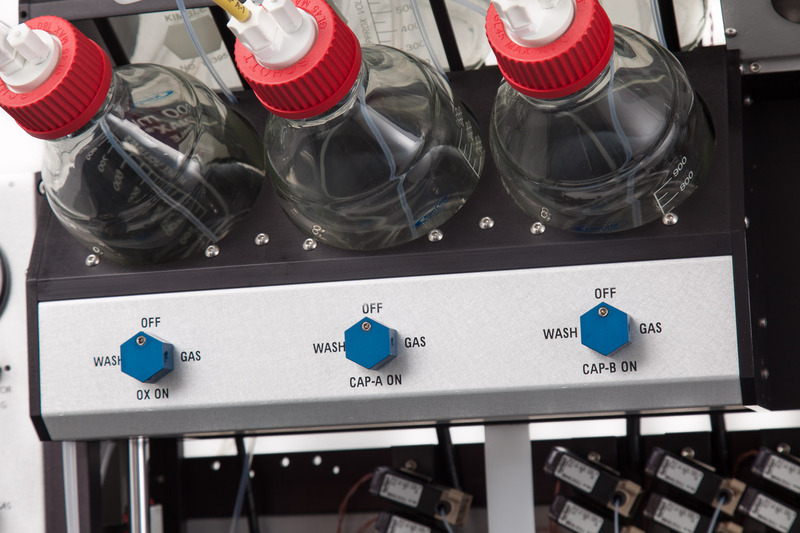 Utilizing the standard IUB codes, mixed site synthesis can also be performed automatically in any ratio combination. 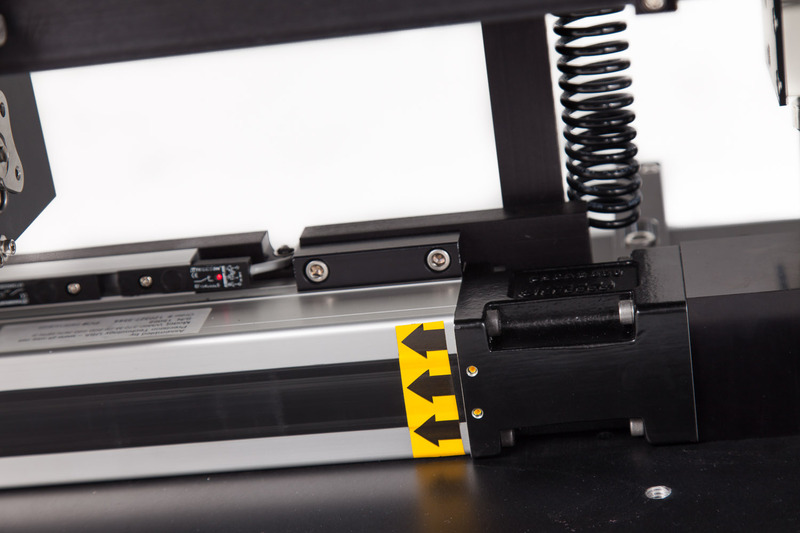 Compatible with all available synthesis media including but not limited to fritted plates with loose CPG, 3900 style columns, and CPG Frits. 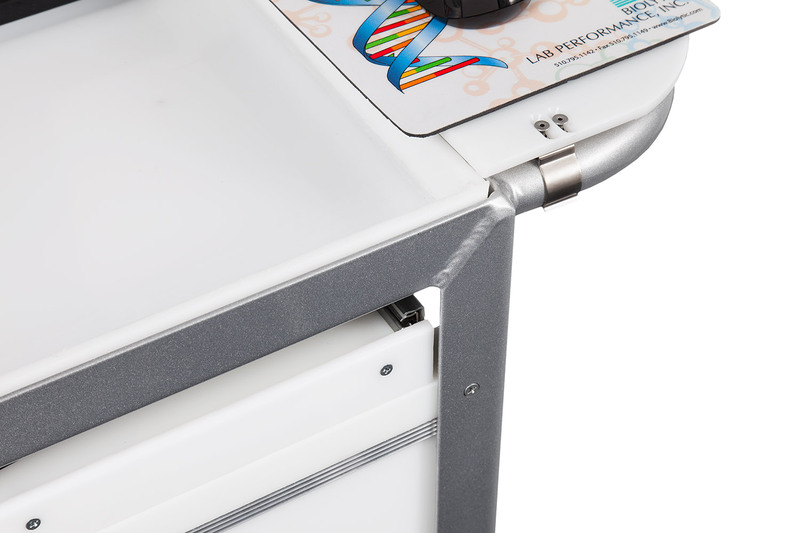 Oligonucleotides produced with the Dr. Oligo line of dna synthesizers can be used for Oligonucleotide and Gene synthesis, PCR / RT-PCR , siRNA / RNAi , miRNA, CRISPR Cas9, DNA / RNA sequencing , Immunity and Biochemistry , High-Throughput screening , Natural Product Biosynthesis , Gene Construction , Reverse Transcription PCP , Hybridization , SNPS , other diagnostic or therapeutic research.